Looking for a place to ride out the storm? Valdosta, Ga. may be exactly what you are looking for. While North Georgia offers shelter from the brunt of the storm, the area is likely to be crowded and damp from the swelter. By contrast, South Georgia is looking forward to a beautiful, sunny weekend with a 0-10% chance of rain. This is a great weekend to visit Valdosta and experience exciting events going on all over the community. 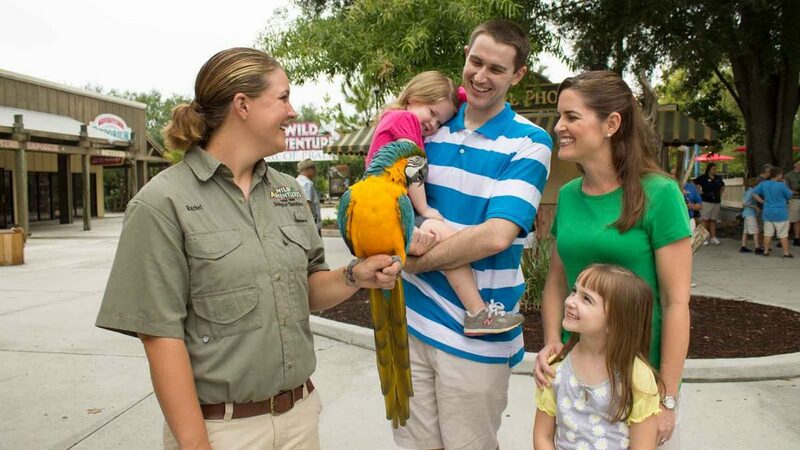 Free admission to Wild Adventures Theme Park. The park is offering free admission to everyone who can prove they are evacuees of Hurricane Florence (just show your I.D). The Pecan Harvest Festival will be going on over the weekend as well so be sure to try the tasty treats made from this South Georgia staple. For hours of operation, click here. Comedy and Queens with DeeAnn Smith. This international performer is consistently rated one of Montreal's Top 10 comedians. See her live Friday at The Patterson! Tickets range from $20-$50 and are available online. For more information, click here. South Georgia Pride Festival. The Annual South Georgia Pride Festival at John W. Sanders Park includes vendors, a kid zone, food court and entertainment including GOD-DES, J. Tyler, Maida and Celeste Holmes! For more information, click here. Horseshoes and Hand Grenades (a Wakeskate Tour event). The Valdosta Wake Compound is hosting a wakeskating competition. Experience the practice rounds Thurs.-Fri., 3- 8 p.m. and the competition Sat. For more information, click here. Downtown Sidewalk Sale. Stroll the downtown blocks from 11 a.m.- 2 p.m. Saturday and experience all downtown Valdosta has to offer! With more than 40 restaurants and 4,000 comfortable hotel rooms to accommodate travelers, the Valdosta area is always a hub of activity. For more information about upcoming events, lodging, dining or directions contact Valdosta staff. Visit www.511ga.org or call 511 for free real-time travel information on road conditions and closures. Visit www.dot.ga.gov/DS/Emergency/Hurricane for resources from the Georgia Department of Transportation, including hurricane evacuation tips and maps. Visit www.gema.ga.gov for more information and preparedness tips from the Georgia Emergency Management & Homeland Security Agency. Visit ready.ga.gov to download the Ready Georgia app to stay weather aware and informed about potential threats and protective measures to take.